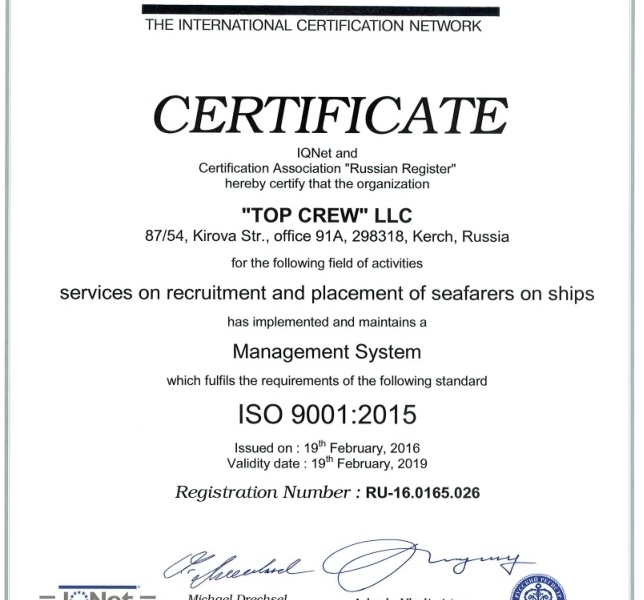 Top Crew LLC offers shipowners / shipmanagers smooth cooperation in manning services as spot crewing, partial crew management or full crew management. 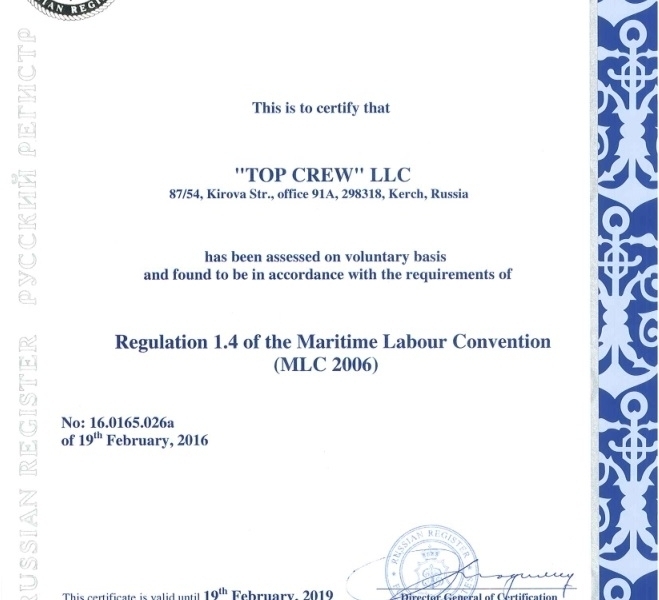 We are MLC-2006 and ISO 9001:2015 certified as well. We have our own Visa Center for seafarers.